Effective, correct communication is more important than ever. Even in today’s world of video and screen time, MORE of your communication is written than ever before. 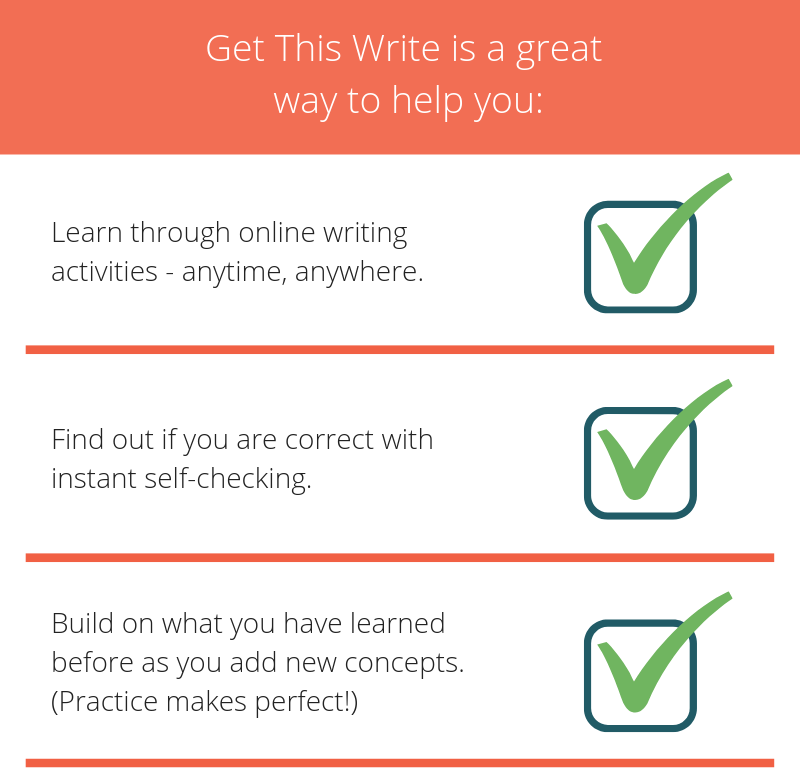 Get This Write helps you focus on basic English grammar, capitalization, punctuation, and spelling. Who Can Benefit from Get This Write? Learn more about how Get This Write works.